Seb was on hards during his long run and his time on mediums would have been better than Kimi´s. So I think that he slightly had the upper hand over Kimi today. But hopefully Kimi can find a better setup. I dont think that Minttu & Robin are in Malaysia. If she was she would have posted a pic on instagram (IMO). Besides it might be a little bit too hot for the little one. It's hard to say who is ahead for the weekend out of Kimi and Seb. Currently, I think Seb looks a little quicker in Quali trim. Prior to the Manor spinning and going into the gravel trap, Kimi's and Seb's S1 times were VERY close. Seb set a pretty good S2 time as well, but Kimi was unable to record a time because the session had been red flagged. Of course, we know the next attempt at quail sims was a disaster for Seb. I also think Kimi could have gone much faster. It seemed like the track was getting almost too warm for the F1 cars in the latter half of FP2. The quail sim times were getting worse. And it seemed like the cars were struggling with grip. So that's why I read into my predictions with a little bit of caution. I'm sure these temps weren't ideal for the tyres/cars. With that being said, I thought Kimi's long run was a little more impressive than Seb's. Seb did have one remarkable time during his long run (could have been in the 1:43's).. But he was not nearly as consistent. If we could find Kimi's stint: I'm fairly certain the times would be consistently between 1:44.5 to 1:45.4 (which was his final lap prior to pitting). Remember, Kimi did approximately a 10-lap stint on medium tyres that were 7 laps old when he started his "long run." By lap #9 and #10 it was becoming appearent that Kimi's tyres were starting to go off. This is a very stark contrast to Bottas whose Mediums were essentially cooked by lap #8 of his long run. I use Bottas because I think Williams will be Ferrari's biggest threat for a podium this weekend. If the Ferrari's qualify well.. I think Kimi and Seb will be fighting for the final podium place. Kimi not only needs to qualify better than the Williams but also better than Seb. Otherwise Seb will have strategy preference plus he will have to fight with him in the first two corners (Which btw are very tricky in this track) to pass him again. So no mistakes this time I hope. It seemed like Vettel would have been able to do a really good quali simulation lap. He woud have been faster then Lewis. Of course Mercedes can properly go a lot faster, but it looked promising. But when it comes to the long run pace, the track conditions where extremely difficult. The track temperatures were 60 degrees. The hard tyres might have a higher delta time but it is not a linear equation, since the medium tyres are degrading much, much faster. 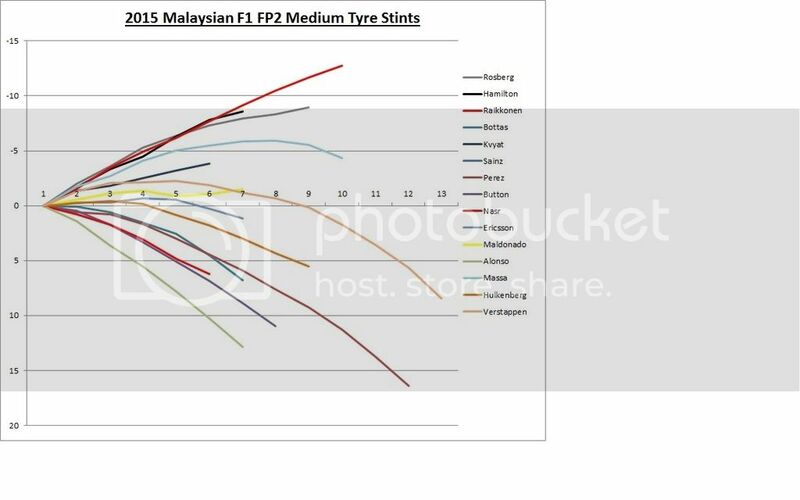 A lot of drivers struggled to do consistent times, and if you look at the length of the lap stints all of the other drivers were only able to get around 6 or 7 decent laps out of their medium tyres. Bottas is the real extreme as his run on medium tyres actually saw him lose about 2,5 seconds in a stint of something like 6 or 7 laps. The medium tyres were behaving more like supersoft tyres. That is what really made Kimi's long run so impressive he did 13 laps on medium tyres, he started with a lap at 1:44.921 and ended with 1:45.424. That is the real impressive part. I would love to see Kimi try something like a two stop strategy again, I think he could make it work. But of course something will go wrong, it will properly rain during qualifying tomorrow or something. Kimi might try a 2 stop strategy if he qualifies behind, I am sure no one else will try something like that. But yes it would be so much better if he could just qualify well. Rosberg said: "I have an issue with my eye when I sweat a lot so that is what the headband is for. Actually I do have sort of a headband in my helmet, it is my trick, but I can tell you. "I put a woman's... erm... what do you call them? The thing you put in your underwear." NR: "No, inside the underwear." NR: "Sanitary towel - I put that on my forehead in my helmet to take up the sweat." Sepang, 27th March 2015 – Kimi Raikkonen: “Today we did all we were supposed to do. In the morning the feeling with the car was better, in the afternoon was a bit more tricky, we had some handling issues and some problems with the wind and the heat, but the laptime were not so bad. Unluckily we had red flag when we went out with new softer tyres.The car is still not perfect, but I’m sure we can improve for tomorrow. We have some work to do on the set up to make everything easier, but we’ll do our best and we’ll see where we end up in qualifying”. Let's hope he finds that sweet spot in FP3 and has a great quali for a change, let's all try to stay positive and send good vibes to Kimi. Yes this is always a strange thing with Malaysia, the targeted setup always seem to change during the weekend. Even when Kimi was at Lotus he would often be very fast on the Friday at Malaysia and then the conditions or something changes and he would lose out. I hope he finds a setup that works well for the whole weekend. 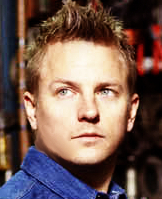 I just knew something would go wrong for Kimi, and I knew there would be rain involved. Kimi has zero luck. But I hope he still drives the wheels off the car tomorrow. There is not much to lose he can just go for crazy strategy. I don't feel so bad I missed the qualifying now.. It was on at 03:00am for me. Can this guy seriously catch a break? It's amazing how much bad luck one individual can have..
Not much to add, really. Maybe just say that I hope tomorrow sun will shine for him in the end. Ferrari Formula 1 driver Kimi Raikkonen blamed his failure to reach the third Malaysian Grand Prix qualifying session on bad timing. While his team-mate Sebastian Vettel headed the queue of cars out of the pitlane at the start of Q2 at Sepang as teams tried to pre-empt the expected heavy rain, Raikkonen was the fifth car out. 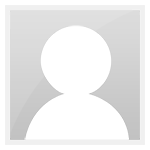 He took to the track behind Sauber driver Marcus Ericsson. "I tried to overtake Ericsson because he was in front of me," said Raikkonen, who had been Mercedes' closest rival in all three practice sessions. "But at the last corner I couldn't slow down because there were other people pushing me forward. "We just got the timing wrong. That's how it ended up." With heavy rain preventing anybody from improving after their first laps, Raikkonen ended up qualifying in 11th position. But he refused to blame his team for the traffic problem, although Ferrari chief Maurizio Arrivabene had suggested the Finn could have cleared Ericsson sooner. "I don't know if it helps to blame anyone," Raikkonen said. "It's easy to say afterwards that I should have been waiting behind Sebastian but the end result is this and whatever we will do now will not change it." Vettel reached Q3 and went on to qualify second between Lewis Hamilton and Nico Rosberg's Mercedes. Raikkonen added that the Ferrari was fast even though his feeling with it was not perfect. "It's not often that a car is completely perfect so there are always things we want to improve. "It's not the ideal feeling with the car, sliding a bit, but it's part of being here in Malaysia. "It's very hot and I think you can see everybody has had issues. "The lap time is good but the feeling could be better." Should I stay up until 1 am to watch the start of the race? Sonny, will you be up?